Johor Bahru travel guide includes religious sites as well as a variety of activities. Johor Bahru is an administrative and commercial hub. The vibrant city has a fusion of cultures and races making it a colorful destination to visit. There is an abundance of attractions and activities to be enjoyed in the city. Attractions such as museums shed some light on the countries history and diverse cultural heritage. Johor Bahru can be reached by air by flying to Senai International Airport which is located 28 kilometers from the city. Reasonably priced domestic flights are also available. 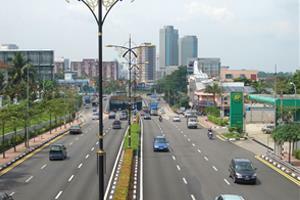 Johor Bahru is accessible by car, bus or train from neighboring countries such as Singapore. Once in Johor Bahru it is easy to travel around by taxi. Make sure that the driver turns on the meter or alternatively negotiate a price before starting on your journey. An even cheaper option is to travel by bus. It may however be difficult to figure out where bus stops are located and which bus to catch. It is difficult to travel around the city on foot.Travelling in Johor Bahru is not as convenient as its neighbour Singapore. If to travel around Johor Bahru, one has to take taxi to the destination. The bus station is located at Larkin Bus Terminal, where one can take express bus to various part of Malaysia. Prior booking is advised during peak period to avoid any last minute disappointment. Online booking is available for several bus companies such as Qistna Express, Transnational Express, Causewaylink Express. Visitors to Johor Bahru should watch a cultural show which consists of traditional music and dancing. Traditional music includes Ghazal music and a traditional dance is the Kuda Kepand dance. 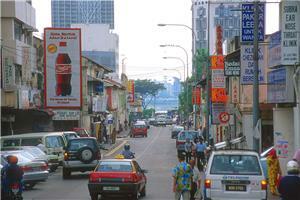 there are many shopping opportunities in Johor Bahru including modern malls and traditional bazaars. Malls offer international brands while at bazaars you can buy unique handmade items. Johor Bahru has an abundance of eating options from up market restaurants to road side stalls. This is the perfect place to sample the delicious local cuisine. Laksa is a famous dish that visitors should try while visiting the city. For more information about Bus to Johor Bahru, check out details from us today!